Is a Black Sabbath reunion in the works? Could Black Sabbath be on the verge of reuniting? 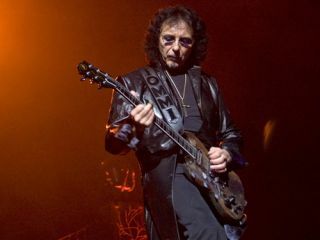 While original members Ozzy Osbourne, guitarist Tony Iommi, bassist Geezer Butler and drummer Bill Ward have given vague hints that they're open to the idea, the only concrete news in that direction is that Tony Iommi is writing again and plans on working with his Sabbath/Heaven And Hell bandmate Butler. "What I'm doing now is writing," Iommi told Metal Hammer. "I've gone mad, writing loads of riffs again. I'm really enjoying it, putting stuff together." As to whether those "loads of riffs" are Sabbath-bound, Iommi isn't saying. But as for Butler, Iommi states, "We will be doing something. I'm in touch with Geezer a lot now and we've been talking about what the next phase is going to be. It'll be great to get out and do something again. I don't normally say this, but there's some great ideas coming out. That's all I've got to do right now. Sit and write riffs!" Sit and write riffs. Some people have the life, huh?